Posted on Feb 1, 2012 by Appleton Downtown Inc. 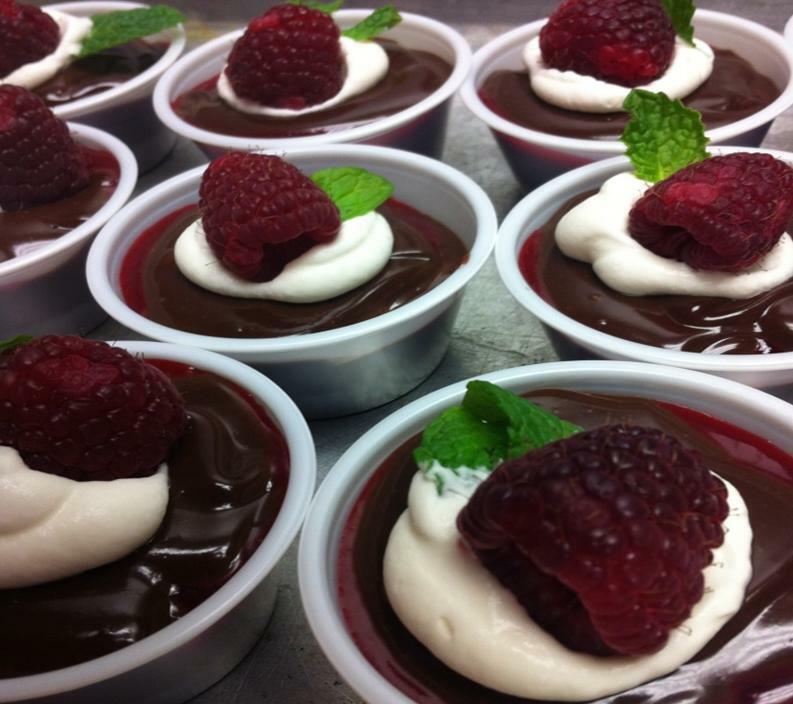 Thanks to a couple of private events, WFRV Channel 5 and Millaine Wells, we have had a lot of practice making these Mocha Pots de Crème and Raspberry Coulis with Fresh Whipped Cream, Raspberry and Mint. The recipe for the Mocha Pots de Crème is a Chef Mark Biesack original. Before having one, I asked what they were and he replied "pots de crème" which means literally pots of cream. There is no French word for custard, which, I think it good. For purposes of translation, this would be custard, however, it really doesn't have the same texture and I personally, have never had custard with this much rich flavor. Coulis is French for a sauce. The dessert contains only a handful of ingredients, but a lot of steps and careful attention. I would like to give you a quick peek at what goes into a Mocha Pot De Crème. 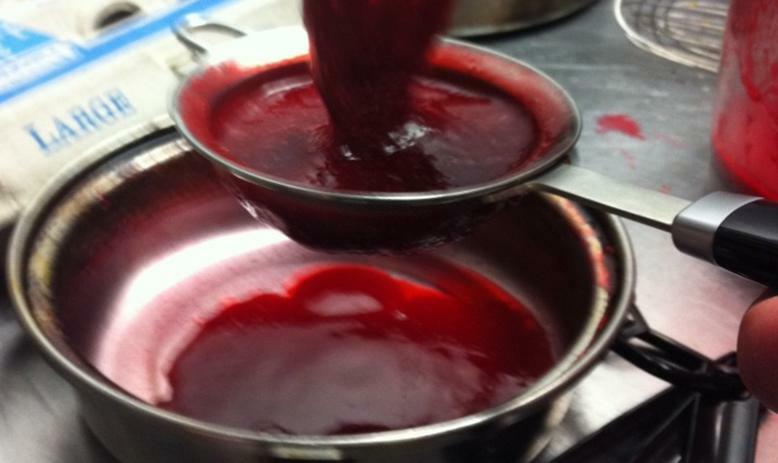 A coulis can be either sweet or savory and in this case involves pureeing and straining the raspberries with a little sugar and lemon juice to capture the very intense flavor of the berries. 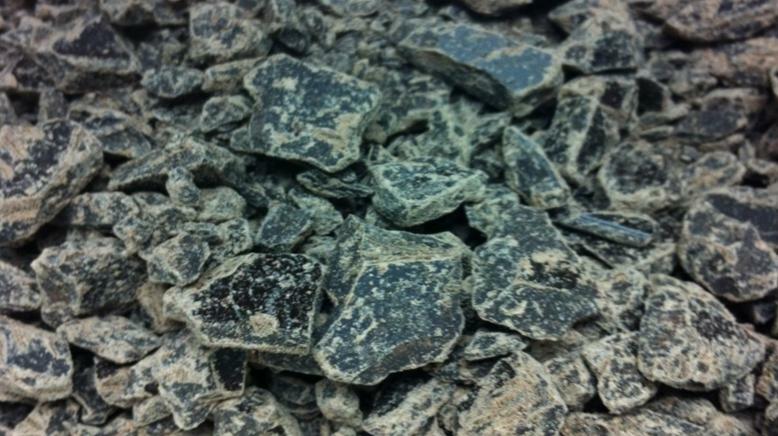 To make the CRÈME, we start by finely chopping LOTS of bittersweet chocolate. 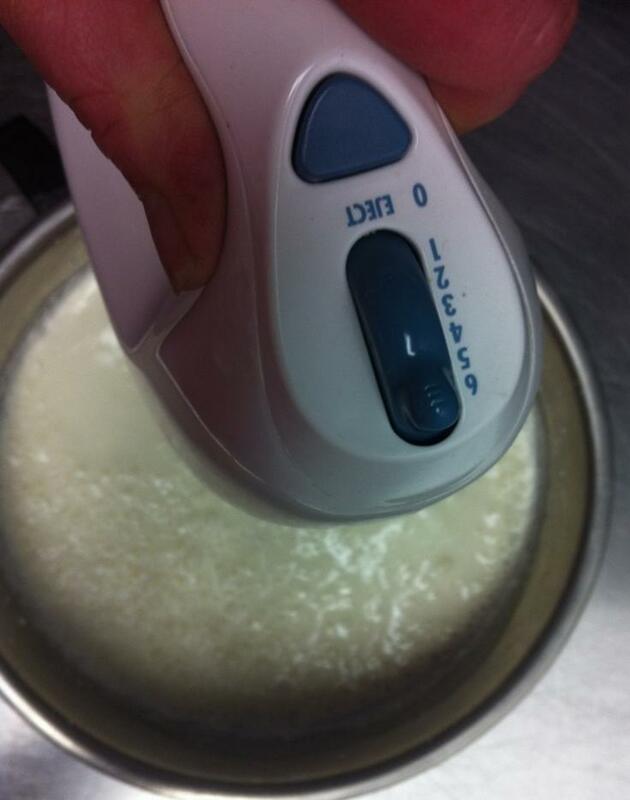 sugar, heavy cream and ½ & ½ and slowly heat the mixture to approximately 175°. 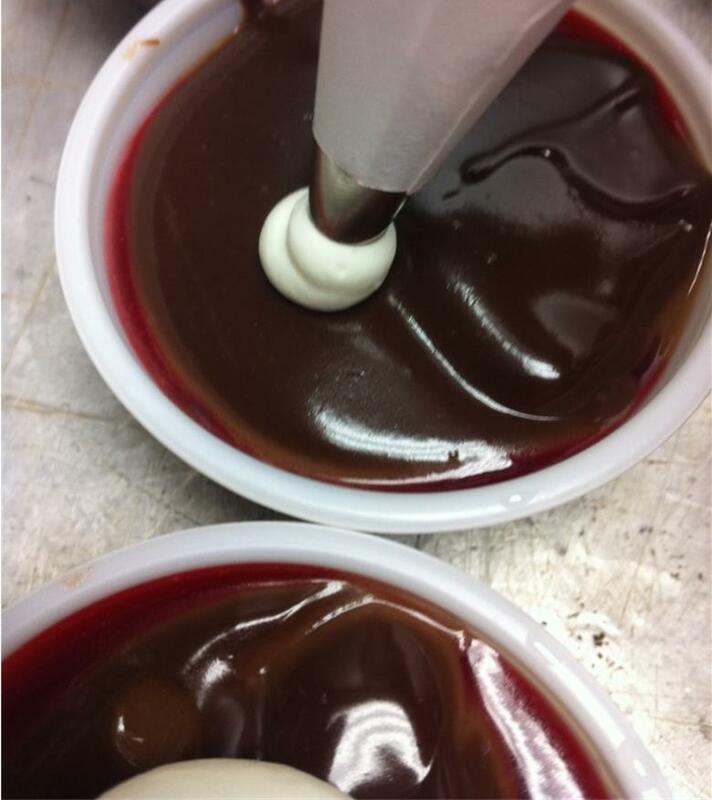 This mixture is then strained over the chopped chocolate and left to rest while the crème melts the chocolate. 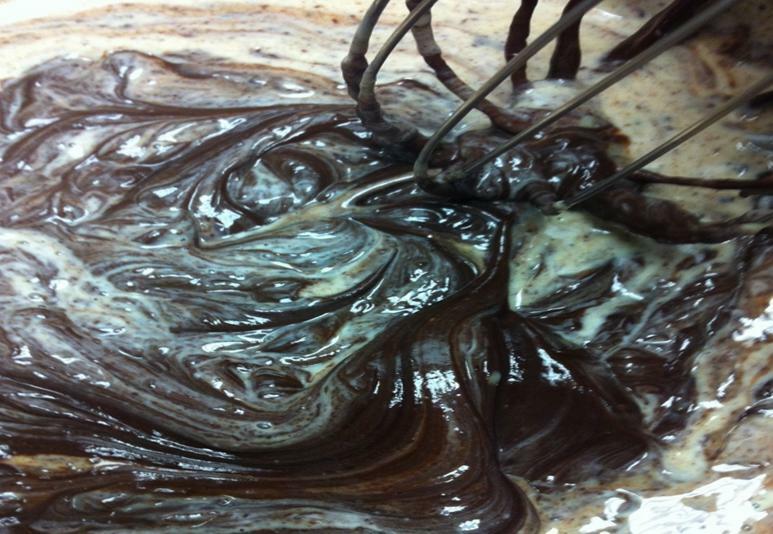 The melted chocolate and crème are then gently whisked together. Once the mixture is smooth, vanilla and espresso are added and again stirred well. 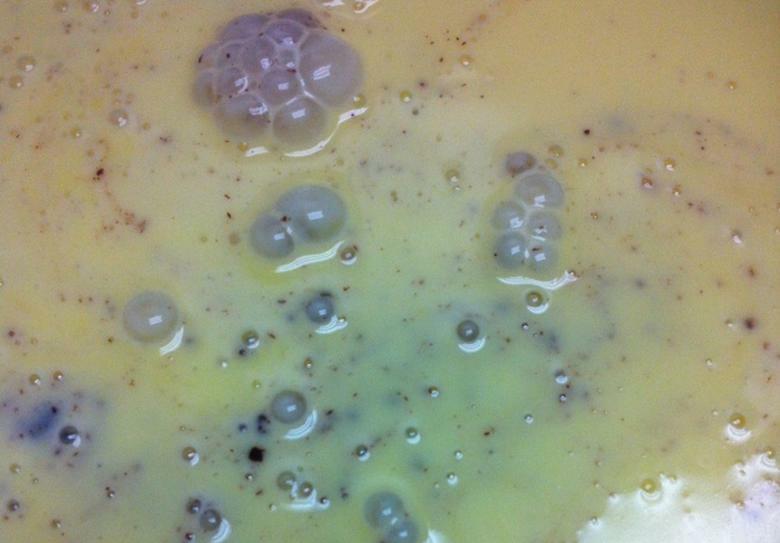 Once the vanilla and coffee are incorporated into the crème, it is then poured into the pots. For the Death by Chocolate we will be serving them in 2 ounce portion cups, but if you were to make these at home, you would use a ramekin or any other custard dish. Unlike traditional crème these are not baked as the custard is heated before it is poured over the chocolate. 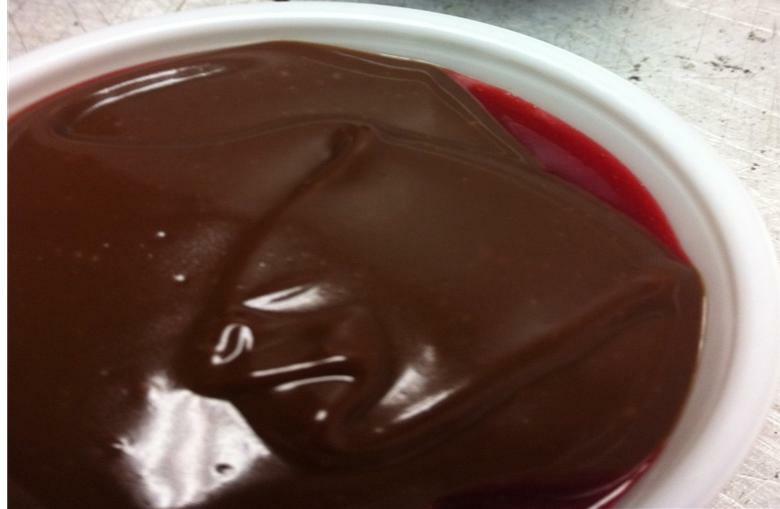 Next a thin layer of the raspberry coulis is layered over the crème and then topped with another layer of crème. 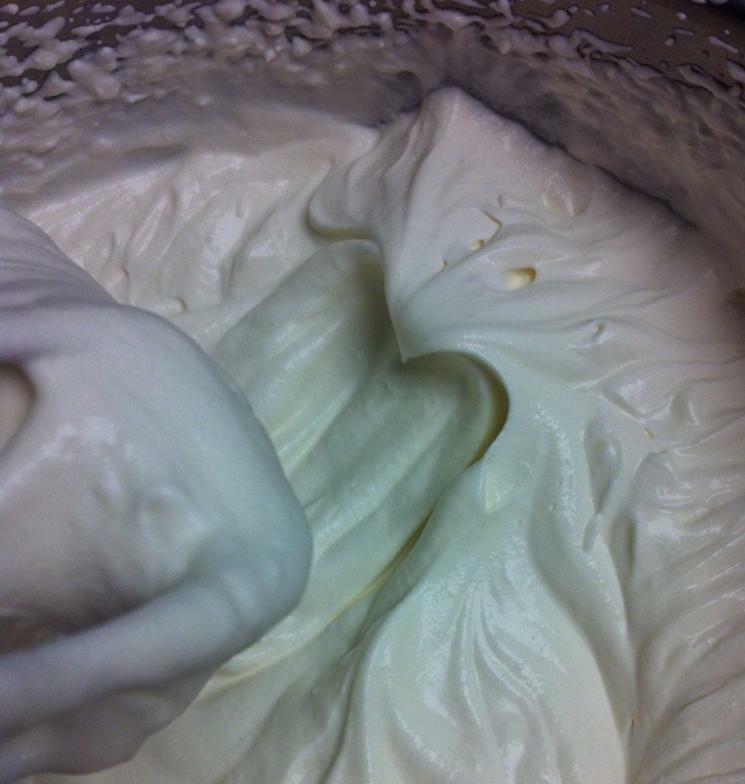 For the fresh whipped cream, I prefer to loosely whip the cream, making it a little lighter and softer than others I've had. It forms a loose peak when done. The last step is the beautification process and involves a small amount of fresh whipped cream, a fresh raspberry and a fresh mint leaf (I suggest saving the mint to freshen your pallet once you have finished). 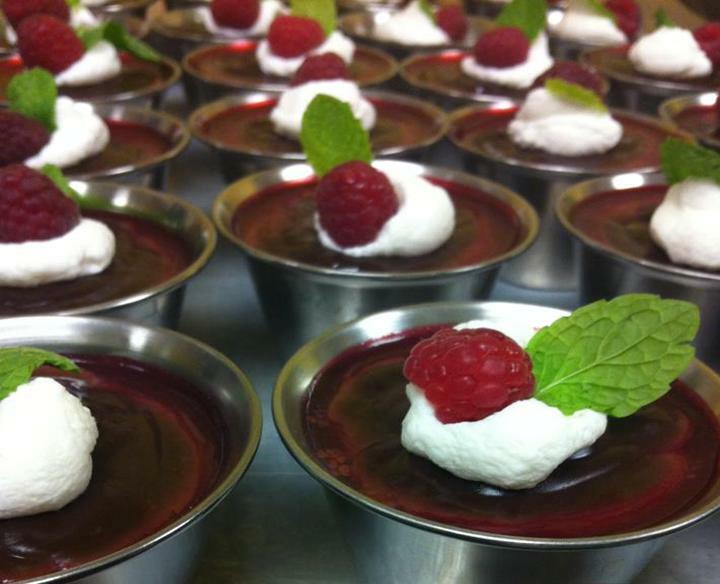 The whipped cream is piped onto the crème and topped with a raspberry and mint leaf. And, finally, it's time to enjoy. 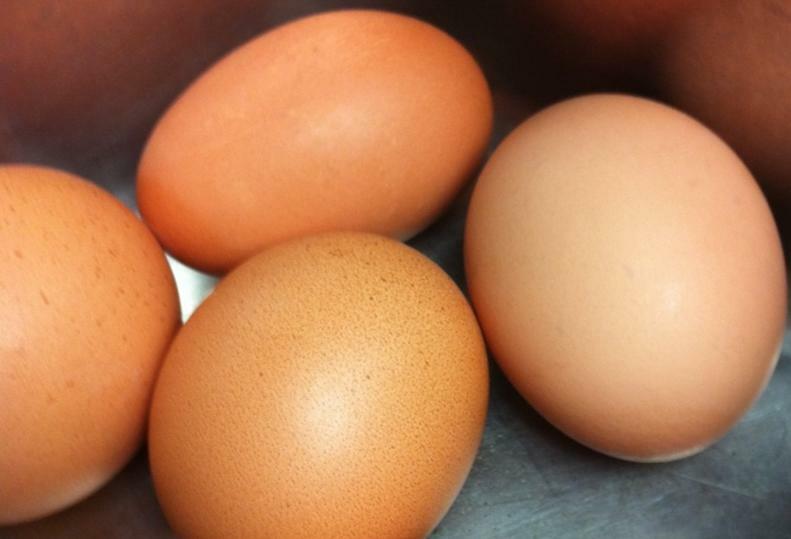 If you would like the full recipe, Chef Mark has offered to share with us and it is available on our website www.kangaroostaurant.com. If you prefer to let us make it, be sure to get your tickets for Death by Chocolate soon. This event traditionally sells out and I would hate to have you miss out on these! I would like to thank Appleton Downtown Incorporated for asking us to share about this delicious dessert.